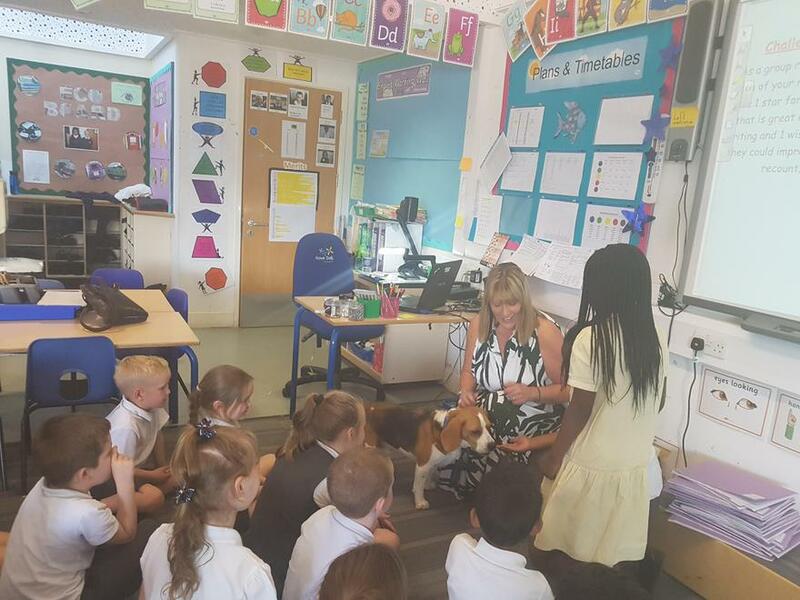 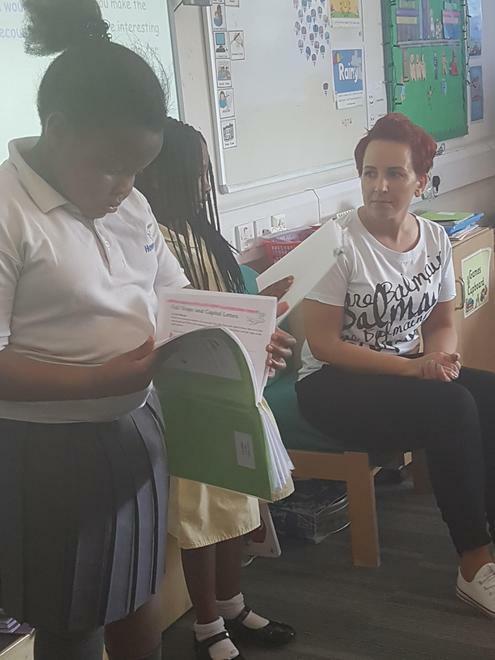 Y2 pupils read from their own writing to the class and to Charlie. 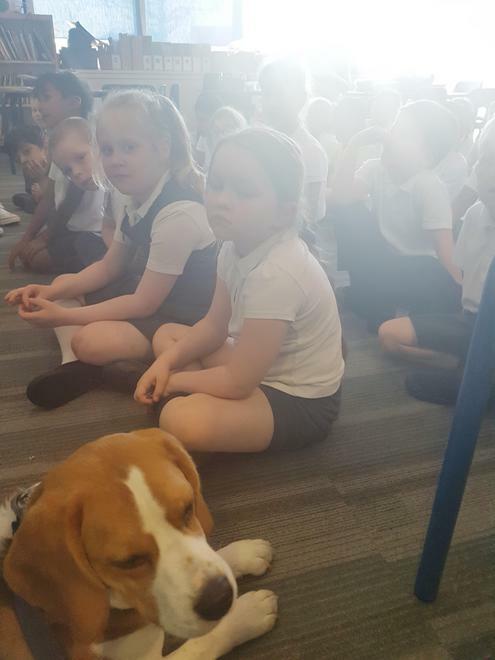 One child overcame her fear of dogs and fed Charlie. 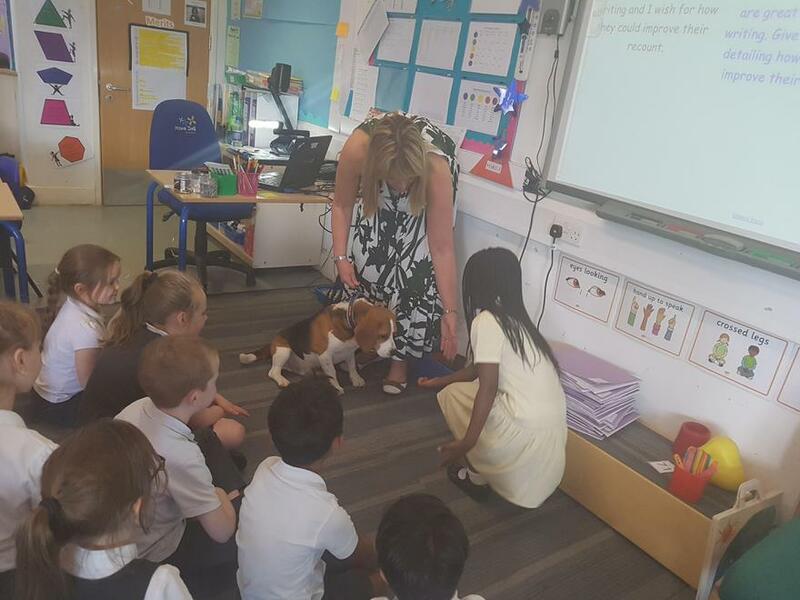 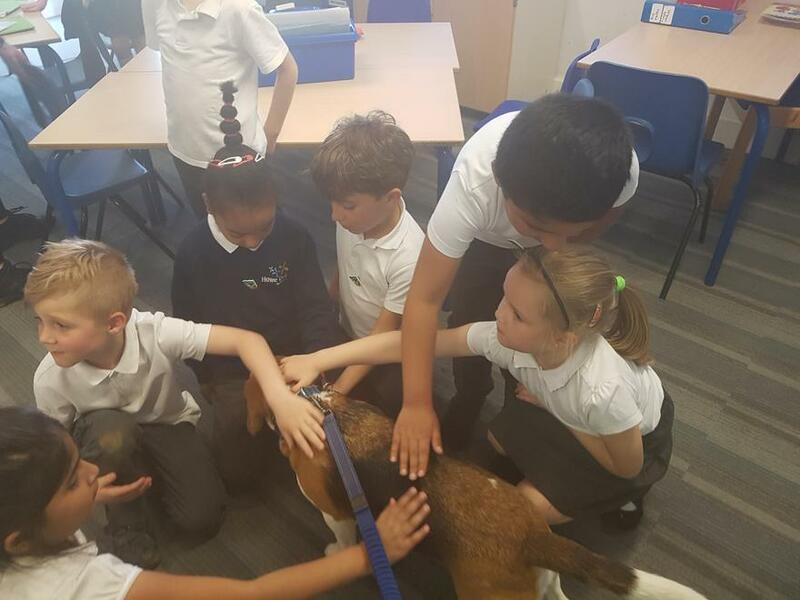 Later, he patiently enjoyed Y2 affection!